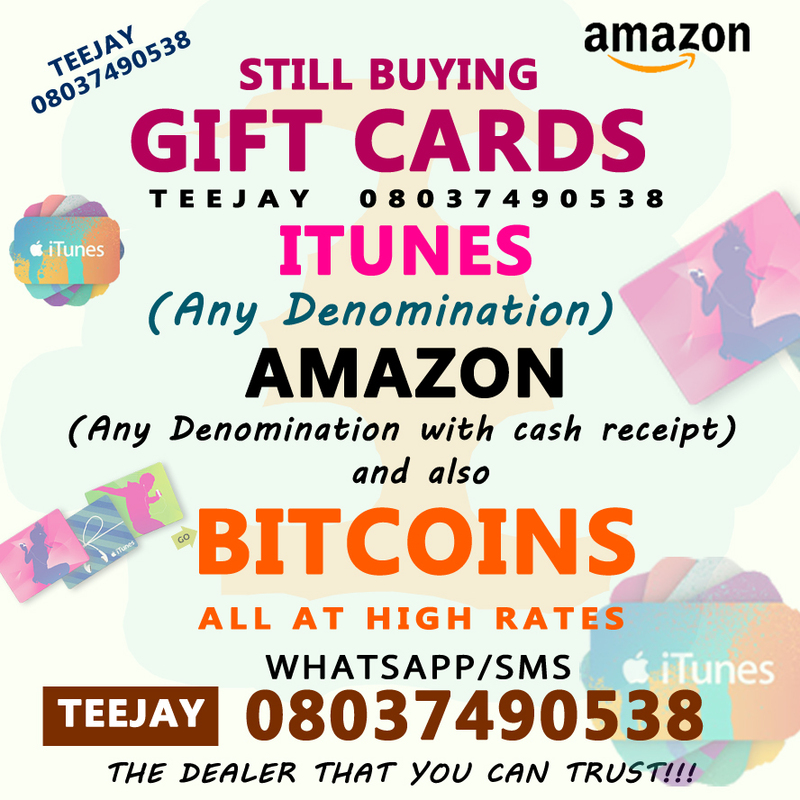 Are you looking for a reliable buyer for your gift cards and bitcoins at superb rates??? 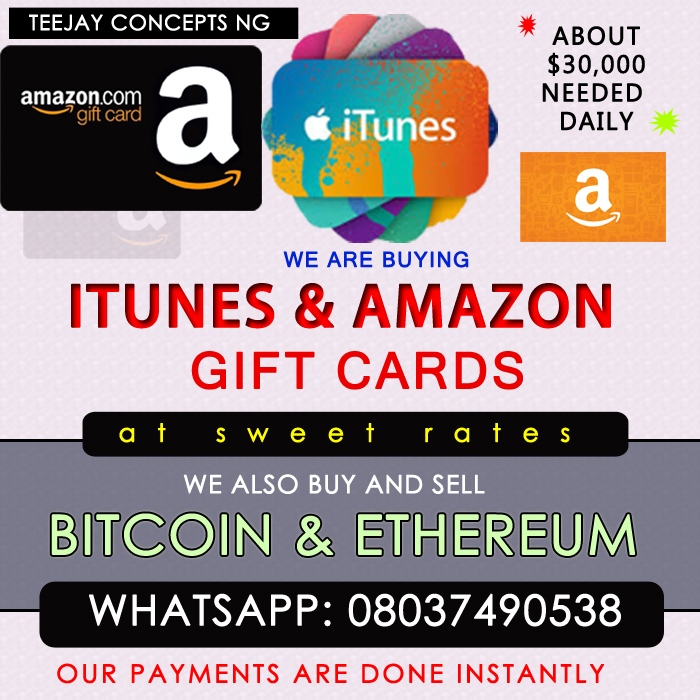 At TEEJAY CONCEPTS, we buy several types of gift cards ranging from ITUNES, AMAZON, GOOGLE PLAY and STEAM WALET GIFT CARDS. We believe you deserve good pay for your hard gotten cards so we buy cards at one of the best rates you can get in the country. We do not delay transactions; we offer instant payment for all our services. We also buy crypto currencies like BITCOIN, ETHEREUM etc. We buy any denomination from $10 to $1000 and we can buy as much as $50,000 worth of gift cards and bitcoins daily. Son Of Billionaire Businessman, Anselm Tabansi, Jesse, Dies In A Car Crash. He’s too slow like snail 🐌 damn…..
Can this T.J guy be slow according to the last comment here? I’m about trading with you and I don’t want to be on a long thing. is it that after u have redeemed the card, u gonna pay in cash to bank acc or u gonna send bitcoin?